Though Jean’s loyalties where almost always her own. She clearly tended to do good when she was with the X-Men. 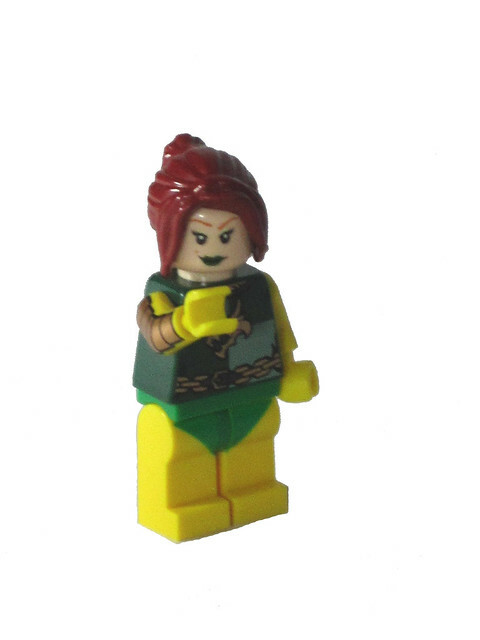 Here you can see her in classic green and yellow spandex. Mmm hmm. Last edited by Rook on Fri Nov 02, 2012 7:04 am, edited 2 times in total. ..another girl to the fray. I like it! Are you sure? The properties suggest that they are. Maybe he just didn't embed them the same way? ^Could be...When you click on them, they don't bring you to Flickr. Hero, as noted in the title. Mister Ed wrote: Are you sure? The properties suggest that they are. Maybe he just didn't embed them the same way? Last edited by Rook on Thu Nov 01, 2012 11:40 am, edited 1 time in total. Wait...was that always there? How did I miss that? Ultron32 wrote: ^Could be...When you click on them, they don't bring you to Flickr. There changed them to the fancy version so you can find Flickr. They do look nicer with little foot notes added by the "Share" option, rather than the plain URL. ^I was just wondering why it wasn't a link. 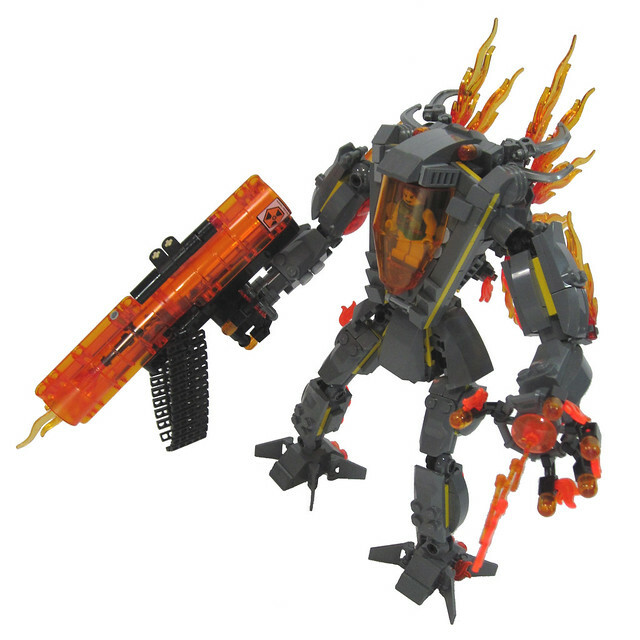 Best DC mech: madLEGOman's "N.O.R.A." Best Marvel mech: Zane_Houston's "Atlas". Best DC minifig: I think it's Fat_Tony_1138's "Mr.Mxyzptlk". Best Marvel Minifig: SPARKART's "M.O.D.O.K." Second best DC mech: a tie between MacLane's "Wonder Woman's Invisible Mech" and [email protected]' "Raven's Shadow Beast." Second best Marvel mech: The_Lantern_Rouge's "Hulkbuster Hawkeye". And I have to add, the 4th best DC mech: Bartosza6m_(war-C)'s "Mad Hatter's Mech". I don't mind. I'll be keeping my list to myself, though. I kind of like the anonymous nature of the voting here. Especially in a case like this, where there are so MANY great entries, that I'd feel bad leaving out so many, even were I to list my top ten. It is going to be a tough vote, and I'm glad I won't have anybody wondering about why I made my selections. It'll be hard enough justifying them to myself. 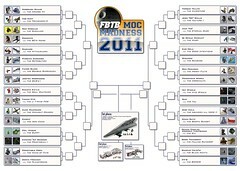 With all the great mechs showing up at the end here, I'm just hoping I can still make it to the brackets. Chances seem good to me NOW, but it's only Thursday. Here it is: Blizzard and his Ice Walker mech! P.P.S. New landscape picture of updated mech added. Last edited by Olymprix on Fri Nov 02, 2012 4:16 pm, edited 1 time in total. It should be no secret that the brackets will look like below, with square images (only 8 entrants are in the ideal square). If you don't crop them yourself, flickr will from the center... as it stands now, we'll be seeing a lot of pictures of mechs with their heads and feet chopped off. Good luck everyone, and I look forward to the flood of entrants in these last days before the deadline. Last edited by ted @ndes on Thu Nov 01, 2012 6:55 pm, edited 1 time in total. Batman returns in his original colors to save the day. Multiple jet engines allow this mech to fly at high speeds and hover for extended periods of time. Designed for speed and agility, this batman mech is as capable on the ground as it is in the air. If any enemy manages to hit the elusive batman mech, its armor is there to protect against radiation and explosives. Armed with twin EMP guns, batman is able to remotely shut down all enemy mechs and electronic vehicles in the area. Shoulder mounted cannons are available for heavy artillery, but as always, batman does not shoot to kill. Thanks again! Good luck to everyone! Here is my entry for the contest! I made my entry for the "Hero Team." This is Dr. Strange's Astral Projection Mech! The Mech mystically forms around him. 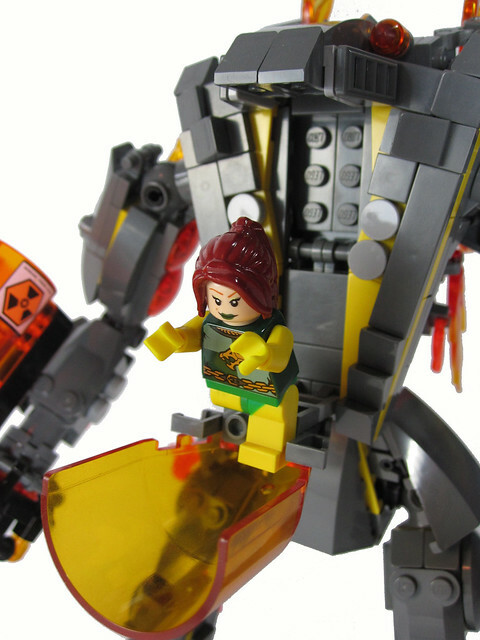 From within the Mech, Dr. Strange can unleash a barrage of Electric Mayhem on the Mechs he is battling. Mods, can we take new pictures with better lighting and format?